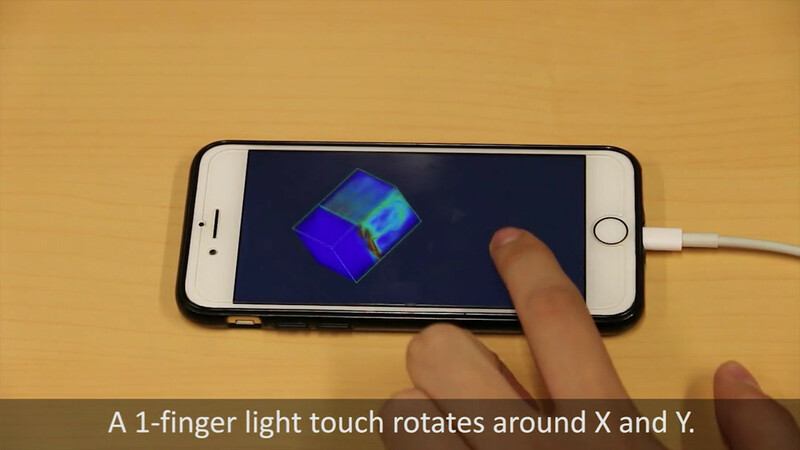 We present a pressure-augmented tactile 3D data navigation technique, specifically designed for small devices, motivated by the need to support the interactive visualization beyond traditional workstations. 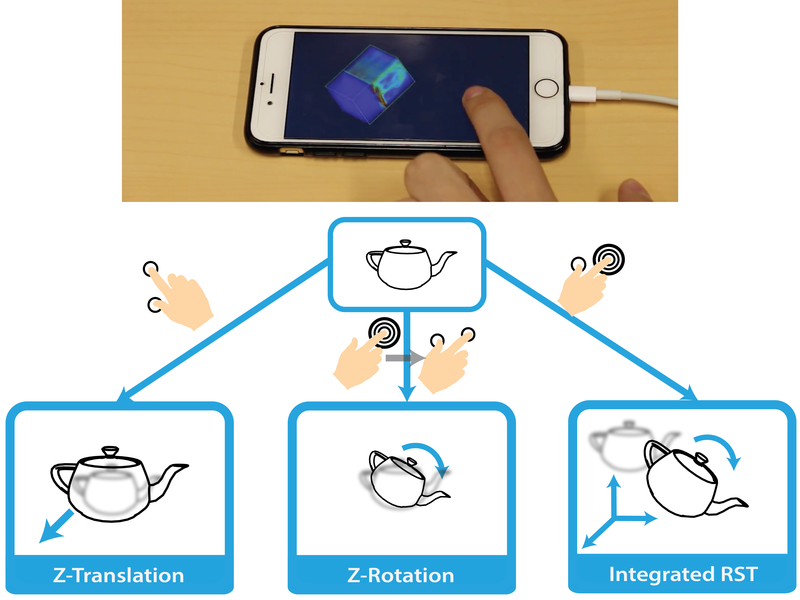 While touch input has been studied extensively on large screens, current techniques do not scale to small and portable devices. 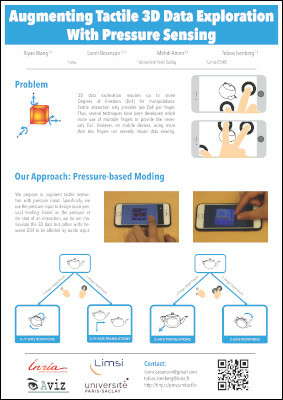 We use phone-based pressure sensing with a binary mapping to separate interaction degrees of freedom (DOF) and thus allow users to easily select different manipulation schemes (e.g., users first perform only rotation and then with a simple pressure input to switch to translation). We compare our technique to traditional 3D-RST (rotation, scaling, translation) using a docking task in a controlled experiment. The results show that our technique increases the accuracy of interaction, with limited impact on speed. 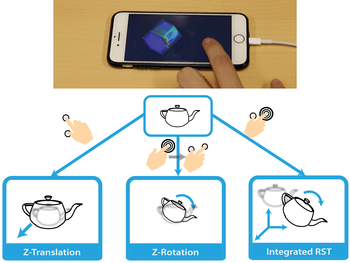 We discuss the implications for 3D interaction design and verify that our results extend to older devices with pseudo pressure and are valid in realistic phone usage scenarios. Get the video: * download the paper video (1080p25, MPEG4, 203MB), * watch the conference preview video on YouTube.